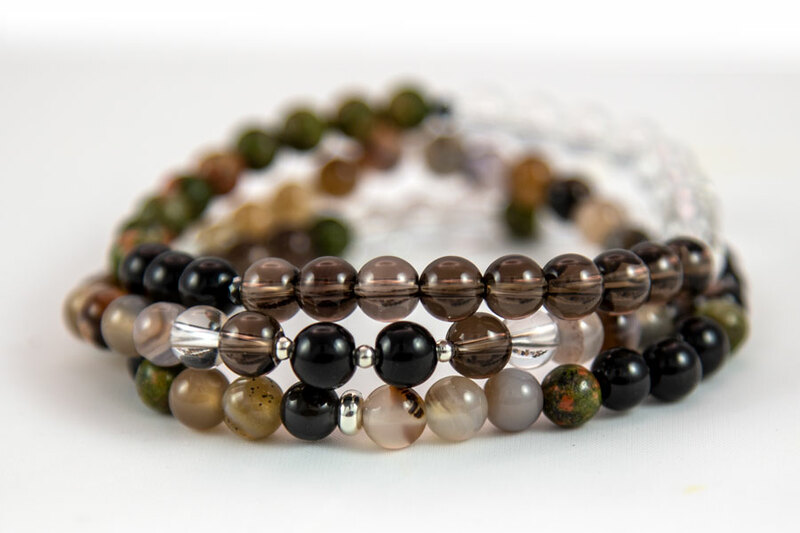 This set of three Purification bracelets will renew your energy much like as a spring cleaning. These bracelets will renew your energy in the same way as a spring cleaning. 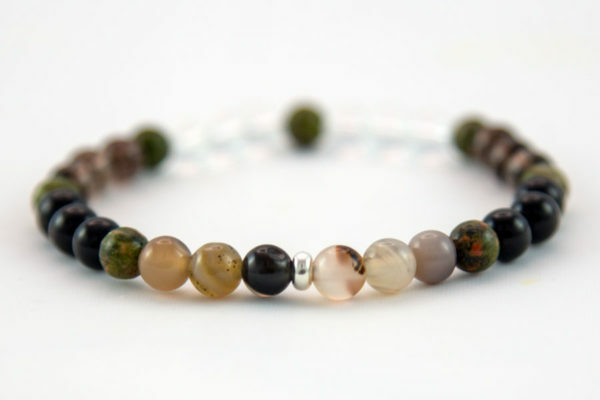 Purification Bracelets are super fine to wear after illness or if you feel a little tired, drained or stressed. The Purification series is also really good to use during travel and when you are for meetings, workshops, events and family events. The colors are neutral in black / white / brown tones, added a little green / orange spice. One of the bracelets (no. 2) is held entirely in black / brown / beige. You can wear the bracelets together or individually. Clear quartz that enhances the energy of the other gemstones. Botswana Agate (brown and golden tones) is healing and will help you release what needs to go. Black Tourmaline is for the deep cleanse, I almost always use Black Tourmaline for Space Clearing. 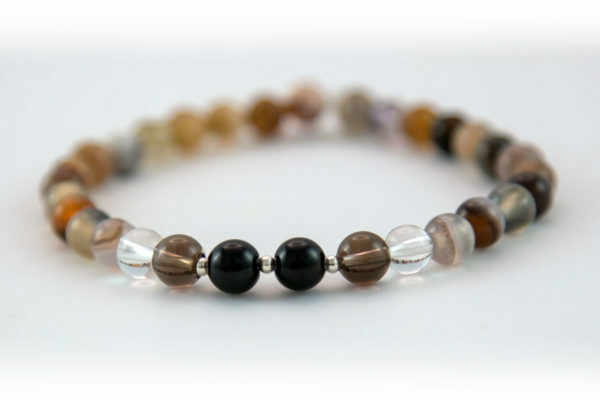 Smokey quartz repels negative energy and increases your confidence. Unakite purges toxic energy from old, emotional wounds and unresolved anger. 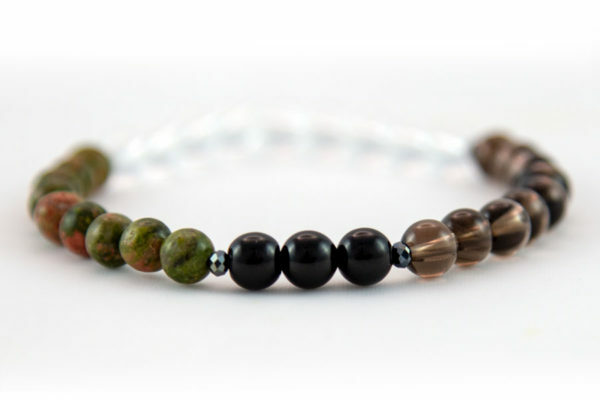 The gemstone beads are 6mm in diameter. The small metal beads are STERLING SILVER. All bracelets have a strong elastic. You can use Purification Space Clearing spray to enhance the effect of Purification jewelry. In this way, you cleanse and renew your personal energy and space around you. You can order size small, medium or large. Please email me if you would want a different size. Since the bracelets have elastic, they can sit tight to the arm or a little more loose. Choose a size that matches your arm, and possibly go up or down if you want a very tight or completely loose fit.